This is one of the very rare instances where I prefer the film to the book. In no specific order, here is why. Spoilers abound. 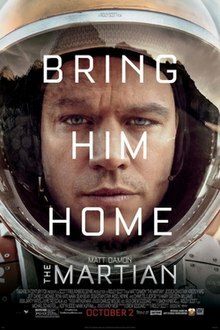 The basic plot: Astronaut Mark Watney has been left for dead on Mars after an accident occurs during a sandstorm. He must rely on his wits and ingenuity to survive, while back on Earth a team of scientists work together to find a way to bring him home. 1.) Ridley Scott can be very hit-or-miss, but he is a genius when it comes to science fiction. I say that in full recognition of the lukewarm Prometheus and the oddly disjointed Alien: Covenant. The future presented in The Martian isn’t as high-tech and gloomy as Alien or Blade Runner, instead it deals with technology that is probably not that far off, as well as plenty of tech will be familiar to the average viewer. Scott incorporates the scientific and technical elements seamlessly into the plot. At one point, when Watney is building a hexadecimal communication system, the mathematics takes a running jump to the level that only a computer engineer could understand. Scott wisely decides not to spend too much time explaining how this system works, instead relying on the trusty science fiction fallback of “it works because science”. Ridley Scott has long ago mastered the art of using practical effects as much as possible, and when he does resort to CGI he deploys it with a skill and grace that other directors should aspire to. After this year’s overly frantic Ready Player One and the abysmal Jurassic World: Fallen Kingdom, it was a pleasure to watch someone use special effects to enhance a well-told story. 2.) It’s one of my all-time favorite soundtracks. Full disclaimer, I’m currently listening to Earth, Wind, and Fire while drinking a glass of wine on a Saturday night. I have a thing for disco. 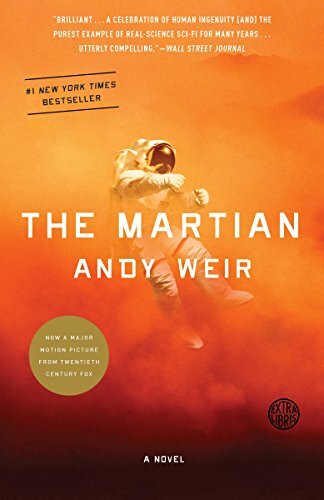 That said, the disco music, which is mentioned in Weir’s novel as the only thing left for Mark Watney to listen to after his team’s departure, is an inspired choice. The combination of the desolate Martian landscape, the lone and lonely figure isolated on a foreign planet, and the cheerful tunes of ABBA is perfect. I was reminded of Danny Boyle’s Slumdog Millionaire, another film which uses peppy, upbeat music as a background for rather depressing events. Because of this The Martian maintains an optimistic tone despite it’s admittedly bleak subject matter. 3.) Ridley Scott attracts some of the most talented people for his films. Star Matt Damon carries the film on his back. His delivery of Mark Watney is funny and sad and scared and cocky all at once. He definitely earned his Best Actor nomination. Filling out the cast are talents such as Jeff Daniels, Jessica Chastain, Kristin Wiig, Michael Pena, Sean Bean, Kate Mara, and Donald Glover in a small but hilarious role. 4.) I haven’t talked much about the book yet. This is because, for me, the book didn’t have as great an impact as the movie. I enjoyed the novel, but it was a more straightforward science fiction story. The movie brought a sense of comedy and levity to the difficult proceedings that is lacking in Andy Weir’s novel. I also feel that technological and mathematical concepts presented in The Martian are more easily understood in a visual format. The novel often feels bogged down in mathematics, and I occasionally struggled to picture what was actually happening as Mark Watney improvises different ways to stay alive on a lifeless planet. 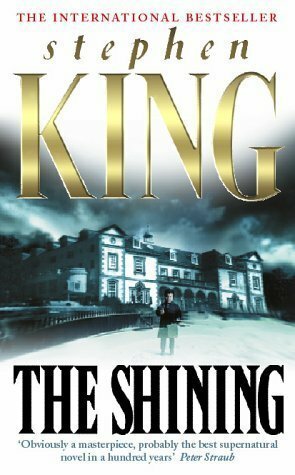 I can’t think of more than ten instances where I’ve truly preferred a film adaptation over the original novel. Even though I have to admit that this is one of those cases, it is only because Andy Weir gave the filmmakers such a great concept in his novel. While I truly enjoyed Weir’s The Martian, I absolutely love Ridley Scott’s film interpretation. Now if you’ll excuse me, I have to go listen to more disco. 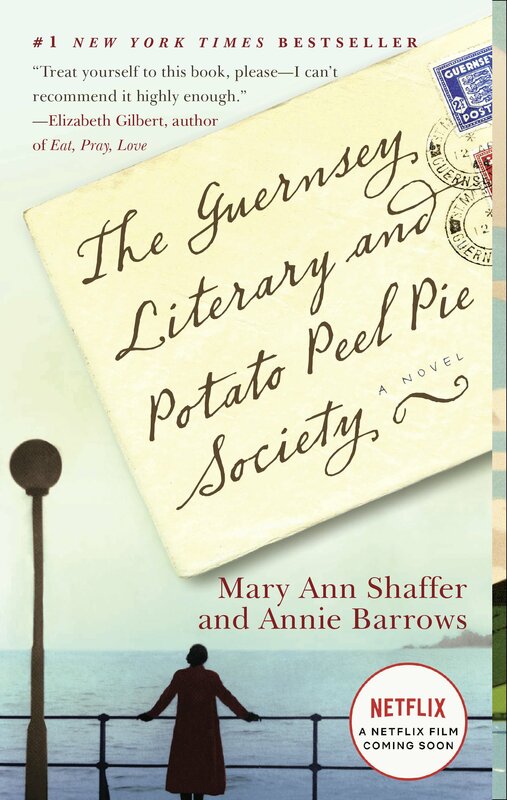 Earlier this year, I read The Guernsey Literary and Potato Peel Pie Society (GLPPPS) and fell in love with its lively, romantic spirit and quirky characters. When I heard that they were making this novel into a film starring Jessica Findlay Brown, I was eager to see how they translated a plot consisting only of letters into a cohesive narrative. A few days ago I finally got the catch to see director Mike Newell’s 2018 interpretation of GLPPPS. In no particular order, here are my thoughts on the film versus the novel. I will try to keep it as spoiler-free as possible but my give away certain plot points. 1. This film is a Downton Abbey reunion. Part of the reason I was so excited to see this movie was that at least four of the main characters were involved with Downton Abbey, my favorite drama about rich British people chatting. Lily James, who plays bright-young-thing Rose on Downton appears here as Juliet Ashton, the writer and book lover who is first drawn to the story of the book club on Guernsey. Jessica Findlay Brown is Elizabeth McKenna, the popular but mysteriously absent creator of the club. Penelope Wilton (also from Doctor Who) is a grief-stricken widow and Matthew Goode is Juliet’s friend and publisher. The sight of all these comfortingly familiar faces helps to ground GLPPPS in its historical time period. 2. Lily James is strangely flat in her role. One of the most engaging parts of the novel is Juliet Ashton’s sincere love of books and literature. She is fully capable of defending her opinion on the relevant styles and thoughts of the day, but does so with such cheerfulness that she never comes across as schoolmarmish. Lily James, who was so bubbly and joyful in Downton Abbey and Disney’s 2015 live-action Cinderella, never comes across as a great lover of reading. Juliet Ashton’s infectious curiosity is also missing, and her eventual spontaneous journal to Guernsey happens almost as a lark rather as a deliberate decision to learn more about the lives of the people there. James seems unable to commit to the more dramatic elements of the plot as well, almost as if she is afraid of looking less than pretty. 3. Jessica Findlay Brown is tragically underused. I understand that Brown’s character doesn’t appear in person during the events of GLPPPS. She is a memory, a reference, a figure in a funny or sad story. Despite that, in the book she always felt so full of life, a bright spot in a dark world that everyone remembers with a mixture of joy and pain. This story belongs to Elizabeth McKenna as much as it does to Juliet Ashton. In the film, she is just demoted to just one of many quirky characters that inhabit flashbacks and whispered stories. Her daughter is supposed to be a turning point in the plot, but is instead relegated to a side note in the film. For an actress as beautiful and talented as Brown, I thought director Mike Newell would find a way to make her shine. 4. The film looks absolutely stunning. Though it was shot in parts of Devon, Bristol, and London instead of Guernsey, the harsh rocky landscape of coastal Britain is always breathtaking to look at. The time period is also accurately portrayed, and the attention to detail on the costumes and props is of the impeccable quality usually found in British historical dramas. 5. The beginning of the film attempts to pay homage to the letter-writing style of the book, but doesn’t quite pull it off. 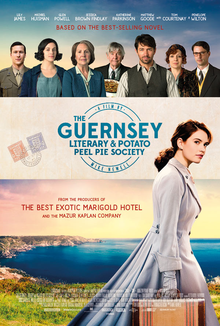 During the first twenty minutes or so of the movie, Lily James’ Juliet Ashton is exchanging letters with Dawsey Adams, a farmer on Guernsey played by Michael Huisman. The movie accomplishes this through use of narrative voice-over and long shots of James curled up in various armchairs, reading letters while drinking tea. Although I appreciated that Newell wanted to include a nod to the letter exchanges of the novel, but it came across as a bit too obvious. Especially when it ends abruptly during the first act and is never revisited. Overall, I thought the film did a good job of capturing the main plot points and historical details of GLPPPS, but a little bit of the novel’s heart was lost in translation. Given it’s almost complete lack of publicity or marketing, I wonder if the studio didn’t see that as well.